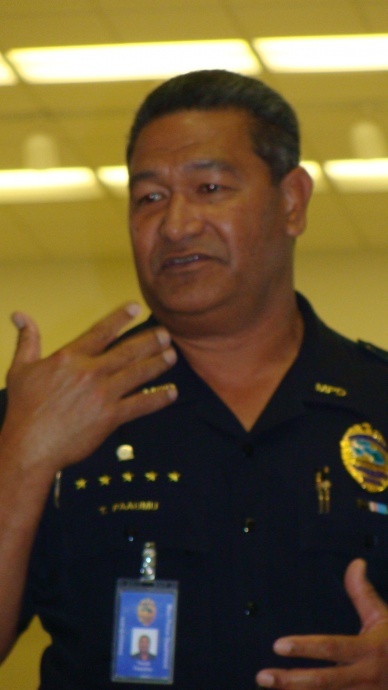 Maui Police Chief Gary Yabuta, photo by Wendy Osher. The South Maui District of Kihei has surpassed West Maui’s Lahaina District, in terms of the number of service calls that officers respond to each month, police say. 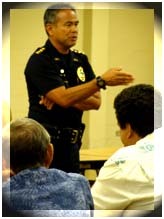 “Right now, the South Maui District, gets about 2,000 calls for service per month; at the same time, Lahaina gets about 1,900 per month,” said Maui Police Chief Gary Yabuta as he addressed a crowd of about 20-plus residents who were in attendance at an MPD Town Hall meeting Tuesday night at the Kihei Community Center. Even more impressive yet, with an average of 5,000 calls for service per month, “Wailuku, which is our county’s largest district, is probably the busiest patrol district in the state,” said Chief Yabuta. “That’s more than Lahaina and Kihei combined; and more than Molokai, Lanai and Hana combined,” he said. Captain Tivoli Faaumu, Kihei District Commander, Maui Police Department. Photo by Wendy Osher. 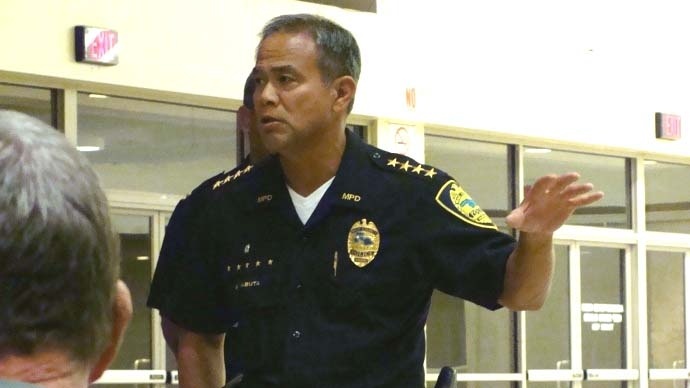 As for South Maui, Chief Yabuta said, efforts are now in motion to address the increased need reflected; and will be helped in part with the addition of the new two-story, 47,000 square-foot Kihei Police Station, which is now under construction. 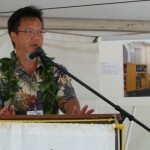 Currently, he said, with civilian and officer staffing, South Maui has about 54 department personnel working out of the 2,400 square-foot office space at the Kihei Town Center. Maui Police Captain Tivoli Faaumu, who serves as Commander for the Kihei District, said he has already submitted a proposal on staffing for expansion positions for the new station, with a focus on increased personnel at the receiving desk. The request coincides with the expanded responsibility at the new station, of holding suspects instead of transporting them to the Central Maui station for processing. Another planned improvement is the use of four uniformed police officers to conduct bicycle patrols beginning this year in the South Maui area. The plan calls for some police cars to be retrofitted to mount a bicycle for greater versatility while in the field, increased visibility, and more contact with the community. 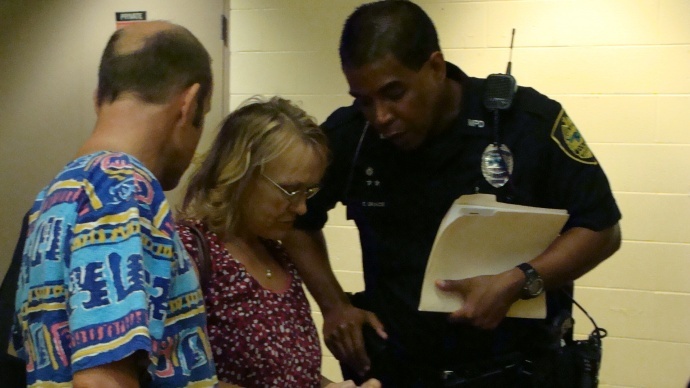 Officers assigned to the district came up with the idea, and with support from the chief’s office, and grant funding, the patrols were approved. With complaints over drunk and disorderly conduct at parks identified as one of the top concerns in Kihei, officers hope the bicycle patrols will help, by offering greater accessibility and coverage of large areas. In the fourth quarter alone, between October 1 and December 31, 2011, Maui police say there were a total of 162 calls regarding such incidents documented at parks and beaches in the Kihei District. The numbers included 17 incidents of disorderly conduct; 15 citations for harassment; and 13 drug or liquor offenses. 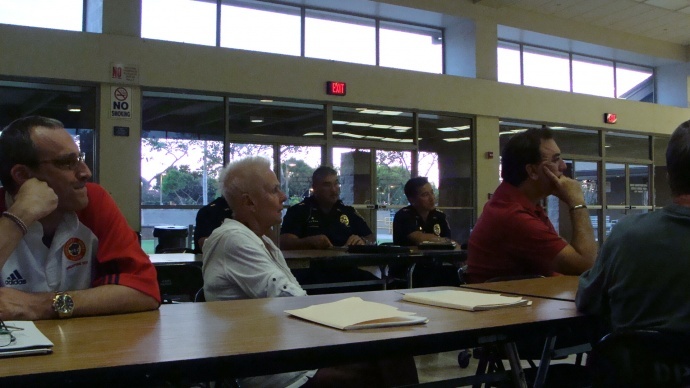 MPD Kihei Town Hall meeting. Photo by Wendy Osher. Kihei police are also monitoring county legislation that seeks to ban alcohol at Kalama and Cove Parks in South Maui. “The bill has one more reading to go, but it’s moving in the right direction,” said Capt. Faaumu. As for traffic, there were a total of 1,492 citations issued between October and December, with traffic enforcement on Kanani Road alone accounting for 62 traffic stops. Still, residents were asking for enforcement of other kinds of violations including cell phone use while driving, crosswalk safety along South Kihei Road, and vehicle sound system complaints from Kalama Park. MPD Kihei Town Hall meeting, photo by Wendy Osher. Chief Yabuta said that the department’s focus on speed and alcohol violations is intended to prevent injuries and death on the highways. The degree to which the department enforces other items, which are considered quality of life infractions, is partially dependent on community input and concerns in respective districts. Part of the meeting also included brief overviews from department heads including those from the department’s Juvenile Crime Prevention, Criminal Investigation, and Vice Divisions. In the area of illegal substances, Maui police say there were a total of 58 drug related incidents documented in South Maui in the fourth quarter of 2011 including: 37 for marijuana; 4 for ice; 2 for cocaine; 1 for heroin. The meeting also included discussion on South Maui evacuation plans during times of low-lying flood conditions along South Kihei Road between Kaonoulu and Waipuilani; homeless feeding programs and their impact on neighboring residential communities; and motorcyclists illegally driving in bicycle lanes. 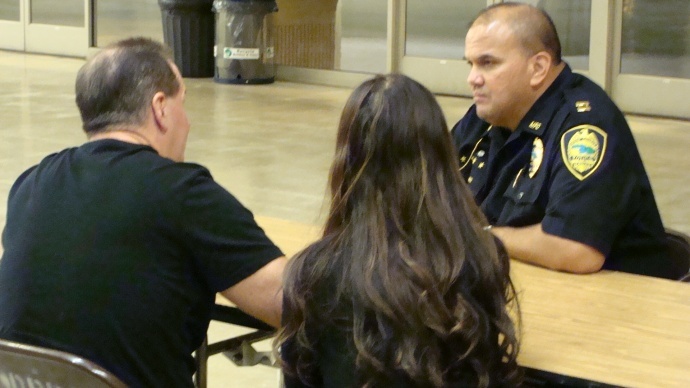 The MPD Town Hall Meeting in Kihei is part of a larger series that included police visits to communities across the County of Maui. 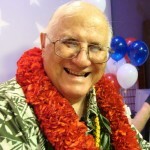 There are two more meetings left on the schedule, including: Eddie Tam Gym in Makawao, on Thursday, February 2, 2012 at 6 p.m.; and Helene Hall in Hana, on Monday, March 21, 2012 at 6 p.m.